the audience loves you, too!" "WOW!!!" Exceeded our expectations -- we couldn't imagine anything more perfect -- great, timeless music." Take four public school educators, add a love of jazz and great songs, and mix in a desire to add to the quality of life here in our area. Put it all together and you have the Phil Lynch Quartet, now in their fifteenth year of bringing their unique brand of musical joy to happy listeners throughout the northwoods region. The quartet is known for presenting a fun and swinging mix of vocal "standards" (Sinatra-era tunes); instrumental classics featuring trumpet; and original songs. Their repertoire ranges from Gershwin and Basie to the Beatles and Disney . . . all in the key of jazz! 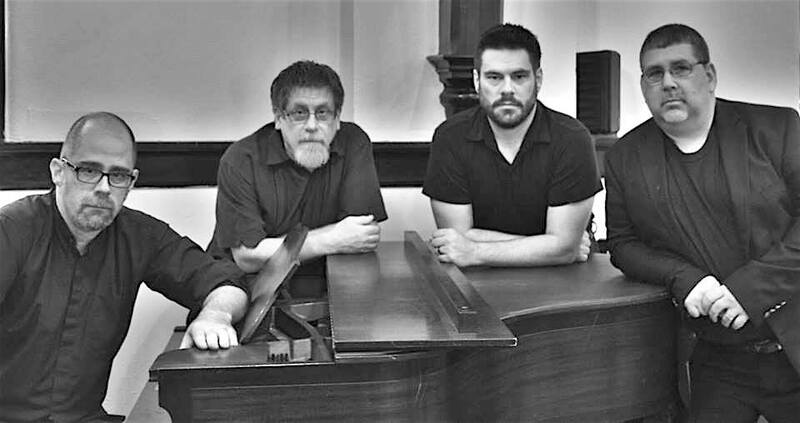 The newest addition to the group's extensive playlist (see tab above) is their “Upper Michigan Suite.” This is Phil's original instrumental composition of four movements, each highlighting a different aspect of Upper Michigan’s unique locale and awesome history. The mission of the Phil Lynch Quartet is to spread musical joy and enhance the quality of life in our region, one event at a time. The group believes strongly in this music and the jazz/swing vibe it loves to present. Please don't hesitate to click on the "contact" tab above to inquire about bringing the Phil Lynch Quartet's brand of happiness to your audience.